Here are more of our family slides from the 60s and 70s. Keep coming back for more additions! Feel free to send me comments, additions, or corrections on the captions. I have numbered the images to make it easier! I will put the additions and corrections with the slide. 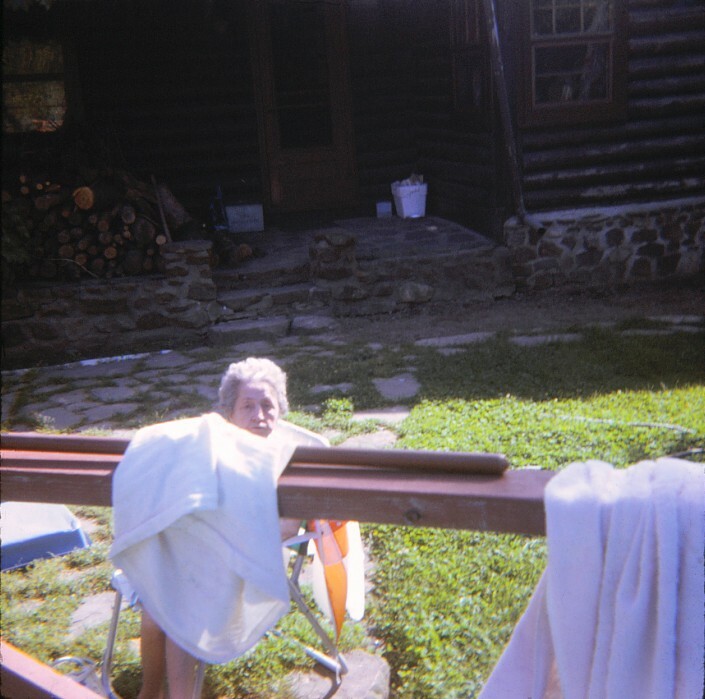 Grandma (Margaret Emily Blekkenk) Allen watches the family fun in the pool in Uncle Art & Aunt Bernie's back yard in 1973. She passed away in September of 1975. This photo is dated June of 1970. It on the couch in our house in Hemlock NY. 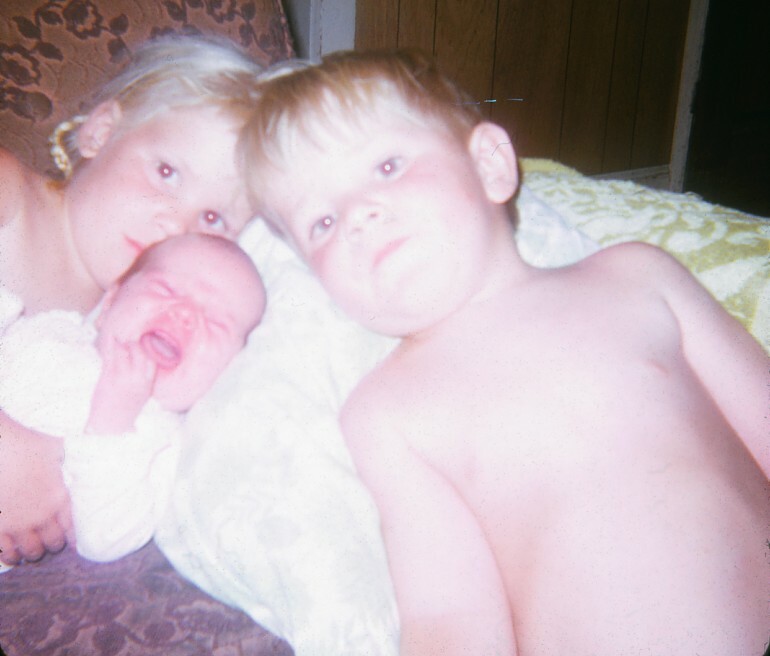 Four year old Suzi holds her new sister (and unhappy) sister Shelly while three year old Andy poses next to them. They are the children of Andy and Jan Cook. This slide has the same date as the one above. It is taken in the backyard in Hemlock. 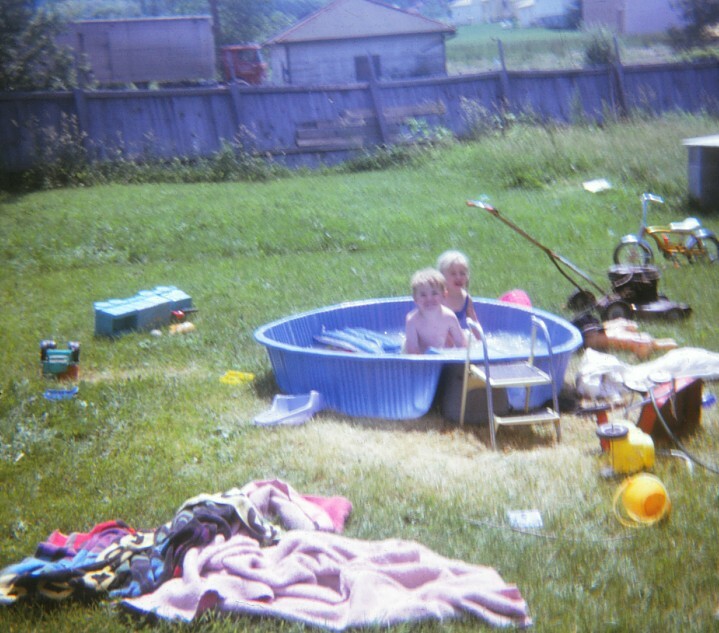 Suzi and Andy enjoy the little plastic pool with toys and towels around them. Beyond the fence is the Louie Gascon's truck . 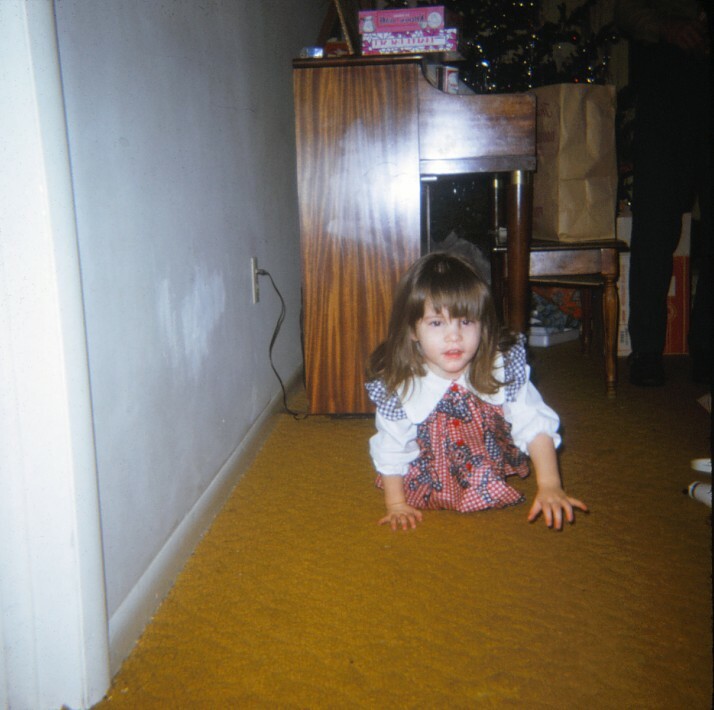 Little Margaret Cook crawls along in Mom and my apartment floor in Livonia around Christmas, 1971. Margaret is the daughter of Larry and Janine Cook. 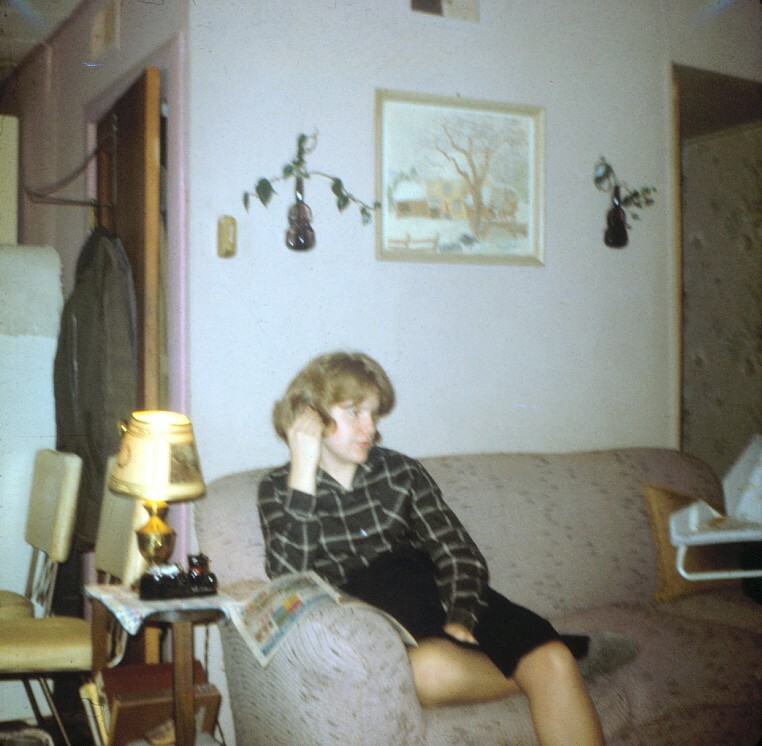 Jan Tegart Cook is relaxing on the couch in Grandpa and Grandma Allen's house on Huffer Road in Hilton NY. This is dated October of 1966. It looks like a baby carrier on the other end of the couch, that would be for Suzette who had been born the previous January. The painting on the wall had been done by our cousin Danny Allen.